Globally, gold advanced 0.6 per cent to USD 1,356.18 an ounce in Singapore. New Delhi: Tracking a firm trend overseas, gold prices rose by 0.40 per cent to Rs 31,492 per 10 grams in futures market on August 18 as traders indulged in built up fresh positions. 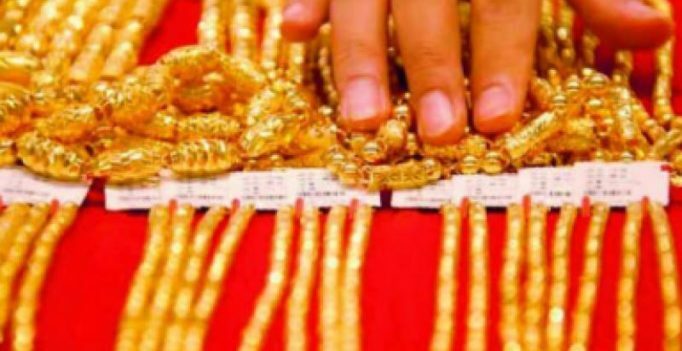 At the Multi Commodity Exchange, gold for delivery in October month rose by Rs 124, or 0.40 per cent to Rs 31,492 per ten grams in business turnover of 1,805 lots. Similarly, the yellow metal for delivery in far-month December contracts went up by Rs 127, or 0.40 per cent to Rs 31,805 per ten grams in 42 lots. Analysts attributed the rise in gold futures to a firm trend overseas where gold climbed as the dollar retreated after minutes from July’s Federal Reserve meeting signaled that US interest rates are poised to stay lower for longer. Sonam Kapoor with Anand Ahuja If sources from the Kapoor khandaan are to be believed, then there will be a wedding in the family soon…. Virat-Anushka check on the status of their new house, moving in together?